How does Atlassian Marketplace work? The Atlassian Marketplace is a platform to buy apps for Atlassian applications. 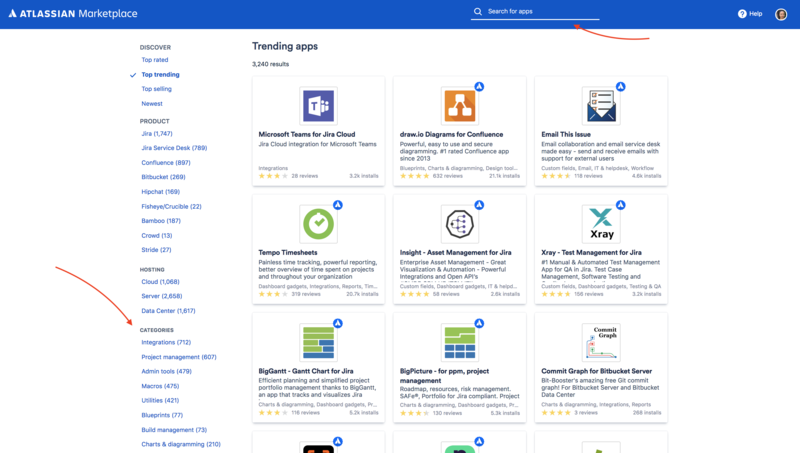 Apps that you can find in our marketplace are add-ons that add functionality to Atlassian products and cannot function without an Atlassian product. It can also be a connector between an Atlassian Product and a 3rd party tool. Apps are made to customize and extend your Atlassian application, however, most of the apps that you can find in the Marketplace are by third-party developers. Use the Search Bar or one of the categories to find appropriate apps. The search function will also check inside the app descriptions so don't hesitate to type a specific feature. Not all apps are compatible with all products. 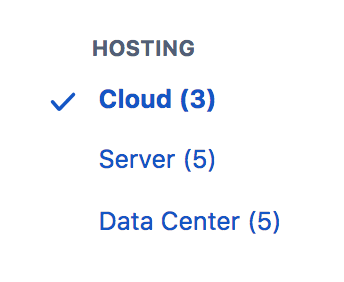 We recommend selecting your hosting option on the left filters to find apps matching your deployment option. Once on an app screen, just click the "Get it now" button or "Try now" and follow the instructions. For Cloud, you'll be redirected to the in-app app manager of your Cloud instance. On Server, you'll be redirected to my.atlassian.com to generate the license and download the app to install on your Server. You can learn more about our Marketplace on the General Marketplace FAQ. If you'd like to create/publish your own apps, visit our Developer hub! You'll find all relevant info to start building your apps.